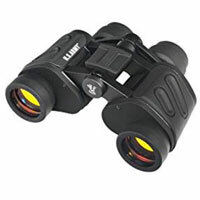 With the U.S. Army 7x35 Wide-Angle Binoculars, you can experience military quality optics that perform in all conditions. Its elite optical glass delivers sharp image quality, even in low light, and its K9 Porro Prisms and multi-coated glass deliver edge-to-edge sharpness and solid magnification power. Its rapid center focus gives users quick, easy focusing for impressive sharpness and precision.